Large number of tourists comes to Chittorgarh as a result of its unique appeal as a tourist destination. Though the historical significance of the place is the major draw for tourists, it also has a number of other attractions. Chittorgarh is not a place which offers only forts and palaces; it also has a number of gardens and lakes which adds a lot of value to your Chittorgarh tours. The beautiful gardens in Chittorgarh provide a refreshing experience to the tourists. Nature lovers truly have a great time as these gardens reveal a feel of serene beauty. Visiting the various gardens in Chittorgarh will be a date in the lap of nature. Most of these gardens are a part of the forts and palaces of the place. The gardens of this region boast awesome beauty as they have a wide array of flowering plants. Most of these gardens are a result of the initiative from Solanki kings and Mughals. They had the intentions of beautifying Chittorgarh. Chittorgarh Fort Gardens, Chittorgarh - The Chittorgarh Fort gardens are located inside the ancient fort of Chittorgarh. 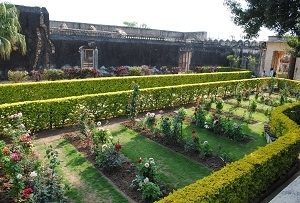 A large number of visitors to Chittorgarh Fort make it a point to visit this garden. There is also a water pavilion in the garden. However, the garden is not embedded with European features like that of the Padmini's garden. Padmini's Gardens, Chittorgarh - The Padmini's Garden is located just beside the beautiful tank. The garden is clearly visible from the Padmnini's Palace. The garden was at its best during the time when the Mewar Family used to spend their summers in this place. During the course of time, it lost some of its beauty. However, the renovation in the recent past got it back some of its past glory. 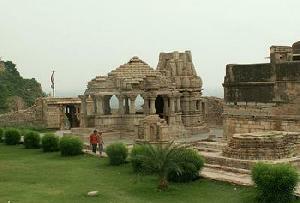 There are a number of tour operators which offer tour to these gardens in Chittorgarh. Book your tour as soon as possible and you will surely have a great experience.